Starting an e-commerce business is quite challenging. The competition is tough and only the best can survive. The good thing though is – e-commerce is growing at a rapid rate and the trend is not going to abate anytime soon. Clearly, you have jumped in at the right time. But have you a right marketing strategy in place? Do you know how to maximize profits and market yourself in a right manner? Similarly, you also need to account for competition as new options will keep coming up for customers. This is why being always on your toe is needed when you enter the e-commerce space. So, you need digital marketing to get more exposure, wider market and more customers to cater. All this won’t be possible unless you have a right strategy in place with regard to your site’s digital marketing. E-commerce is not a space where you can succeed without planning. Here, you have to remain a step ahead of the competition to stand out in true sense. Which is not possible unless you’re sure what step to take and when. The plan has to be comprehensive in nature with justifications and relevance for every conceived step. 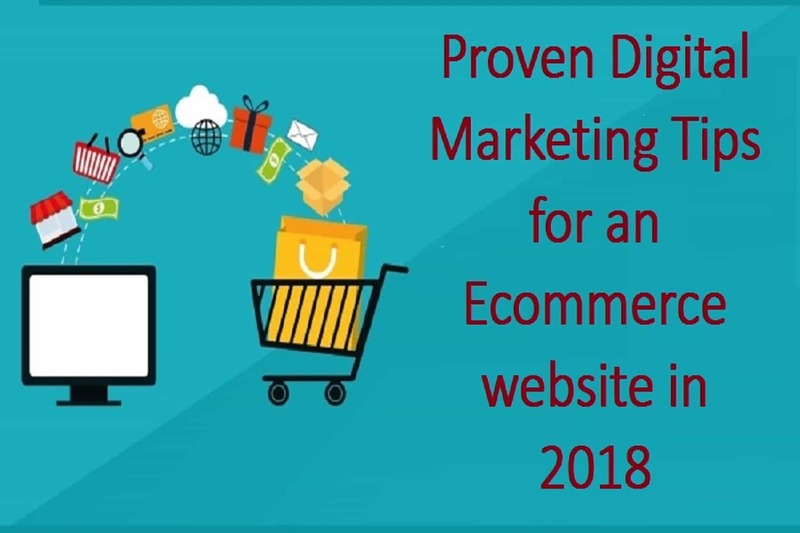 Your e-commerce website needs to be sure about the targets in mind. It just can’t take on those mighty stores with multi-million marketing budgets and flashy promotional campaigns year on. So, you have to consider catering to a niche audience. This will keep you in the game on the back on a less competition and a clear goal in mind. Email marketing could still be that much effective in reaching out to the target audience in a quick and cost-effective manner, if used subtly. However, a great deal of care is needed when you look to rely on emails to market your business. The good strategy is – be relevant, reward the readers’ time, offer information and give value in any form. E-commerce may be full of growth opportunities but not being realistic with your goals can cost your deal as well. You have to take a baby step at a time while your goals should be specific, relevant and time-bound. The focus should be on delivering value to customers and then expecting to win their trust. Nobody visits e-commerce websites anymore when they have well-designed apps to shop. With app, you can help customers find your store anytime and on any device. Apps with simplified layouts perform better than those have complex designs at core. So, get an app and take the reach of your site to a new level altogether. Websites with simpler checkout easily outperform those with complex steps and haphazard designs. Customers like the site to be fast and easy to use; they don’t want clutter on the way to product comparisons and browsing. And yes, you must need an easy checkout process to let customers feel the joy of shopping. Go and check all major e-commerce sites and see how aptly they leverage customer reviews and feedback. They value each and everything their customer has to say and give it a nice coverage on the site. You too should do that knowing that this has great SEO benefits. Without being on social media, your e-commerce site just can’t go far. There, the focus should be on garnering likes, page views, comments for posts etc. You should list products across social networks to stir customers into action. The more subtle and active your site is on social media, the better it will perform from sales point of view. This is where a top digital marketing agency San Francisco can help with its domain experience and knowledge. Deepanshu Sahni is an experienced marketing professional working for Nerdster Design – a leading agency in digital marketing space. He shares views and expertize on matters related to digital marketing. His profound experience is akin to hiring a top digital marketing agency San Francisco and giving your business an edge in the market.